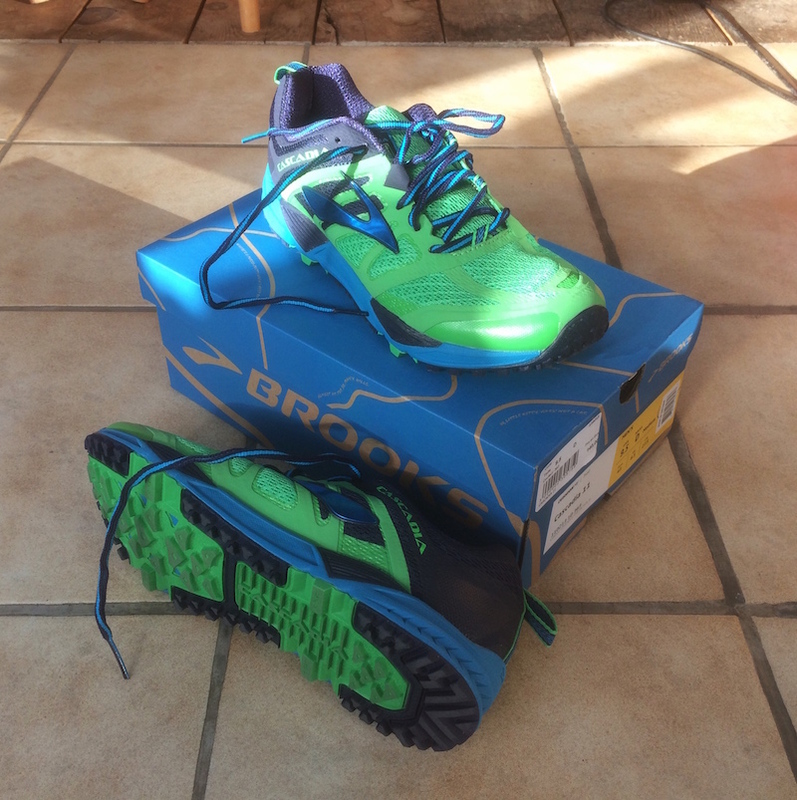 Brooks Cascadia are well known as an all-round, comfortable trail shoe that is slowly but surely improved year on year. In fact I’ve been a big fan of them ever since I got into trail running and bought my first pair of Cascadia 7s. This reputation for reliability took a battering last year – the online forums and discussion among runners was awash with tales of problems – the mesh of the upper coming away and exposing holes. Version 7, 8 and 9 of Brooks. 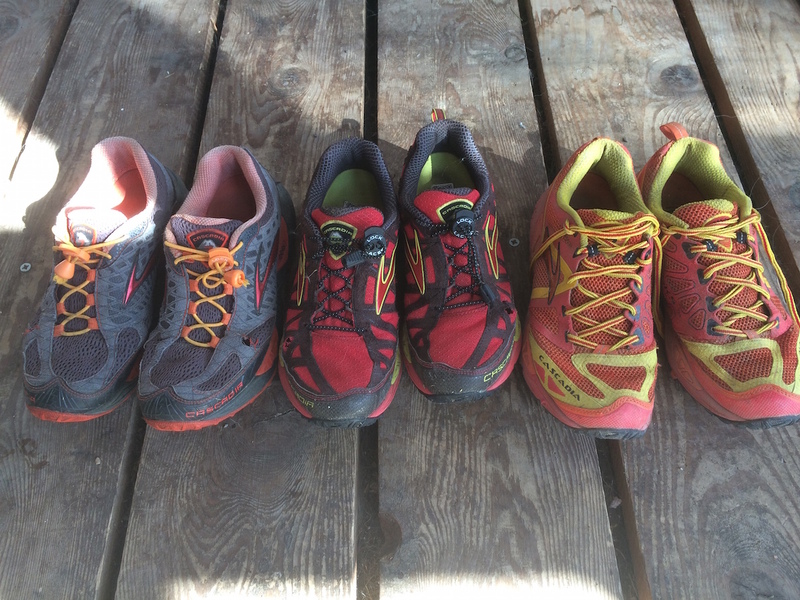 Each pair gave me around 1500km of harsh trail running without any problems. In fact I suffered the same problem – after only 50km of running, holes started to appear and by a couple of hundred they were wrecked. We realise that our Cascadia 10 model is not as durable as the 9 and has inherent weak point in the upper between the two areas of the 3d fit print material which is designed to give structure of the shoe without utilising stitching. In most cases the problem does not transpire into a full rip but I can see from the pictures you have provided yours have fallen victim to this. The new pair I received was fine, and after 600km shows no sign of ripping. So this week I was in my local running shop, the amazing Endurance Shop in Gap. The staff were as friendly and informative as usual and while I was actually looking for a new race pack, I noticed the new Cascadia 11s. The shop assistant told me that they had needed to return 25% of the pairs they had sold of the version 10, but that the new pairs were very good and all of the issues had been fixed. I tried a pair on, went for a quick test run outside the shop, and then bought them. The shoe seemes to be a narrower, more snug fit than previous versions. While I’ve found this an added bonus (I felt previous versions sometimes would let my feet slide around, especially when full of water) as it gives extra security and a more confident feeling when running. Others with wider feet might find this a problem, so I’d recommend trying before buying even if you’ve used previous versions of the shoe. 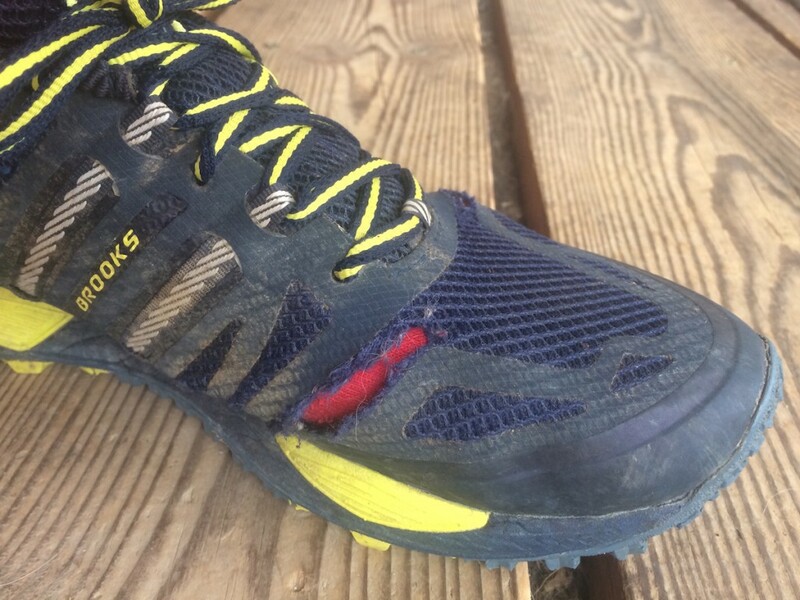 Brooks boast “trail-specific technologies that add a layer of protection” including a ballistic rock shield to protect your feet from debris and stones on the trail. The upper consists of Element Mesh, that Brooks say as well as being breathable, is also more durable and should avoid some of the unfortunate problems encountered with the version 10s. There’s a 10mm drop, which I find just the sweet spot for long runs. 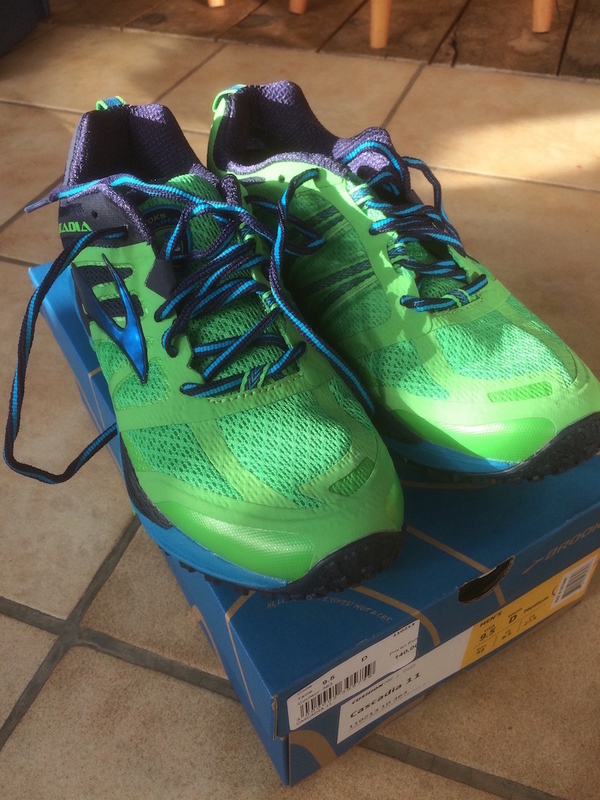 I’ve since been out for a few runs in them on my local trails here in the French Alps. This time of year each run can throw in a mixture of loose gravel paths, mud, ice, compacted snow, meltwater stream crossing and slick grass – usually all on the same run and so good testing conditions for an all-round shoe. For the first 50km of running I was getting some heel rub on my left achilles, but this seems to have sorted itself out. The shoes feel stable and give plenty of grip, although as in previous versions are pretty rubbish on greasy rocks (but then most stuff is). The poor handling in greasy/wet conditions is down to the durable rubber compound used in the outsole, the benefit of which is the longevity that Cascadias are known for – each pair I’ve had I’ve run 1000 miles in and the last thing to show wear was the sole. The inner and outer edges of the upper are waterproof, where joins the outsole. This means splashing through shallowish puddles or running in snow doesn’t get your feet wet, but the upper still stays breathable. I’ve also made a few freezing stream crossings and can attest that the water drains out quickly and your feet warm up again in no time. 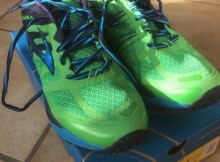 Overall, Brooks seem to have redeemed themselves from the disaster of the Cascadia 10s. Only time will tell if the problems with the upper will reappear, but so far so good. The shoe remains stable and reliable, with traction that offers a good compromise between grip and durability. I will still grab a more aggressive shoe for shorter, faster, more technical runs, but the Cascadia remains my go-to, default shoe and my favourite for long ultras.